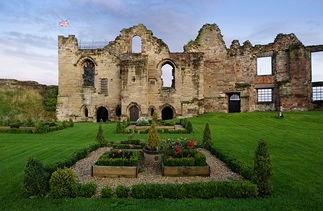 Tutbury Castle in Staffordshire has developed a reputation as one of the finest wedding and events venues in the Midlands. Every year this majestic medieval monument attracts visitors from around the world who marvel at its exquisite charm and rich heritage. No fewer than five ghosts are said to haunt Tutbury Castle. The apparition of a soldier wearing armour has been sighted on numerous occasions, along with a spectral white lady and the phantoms of a young boy and girl respectively. 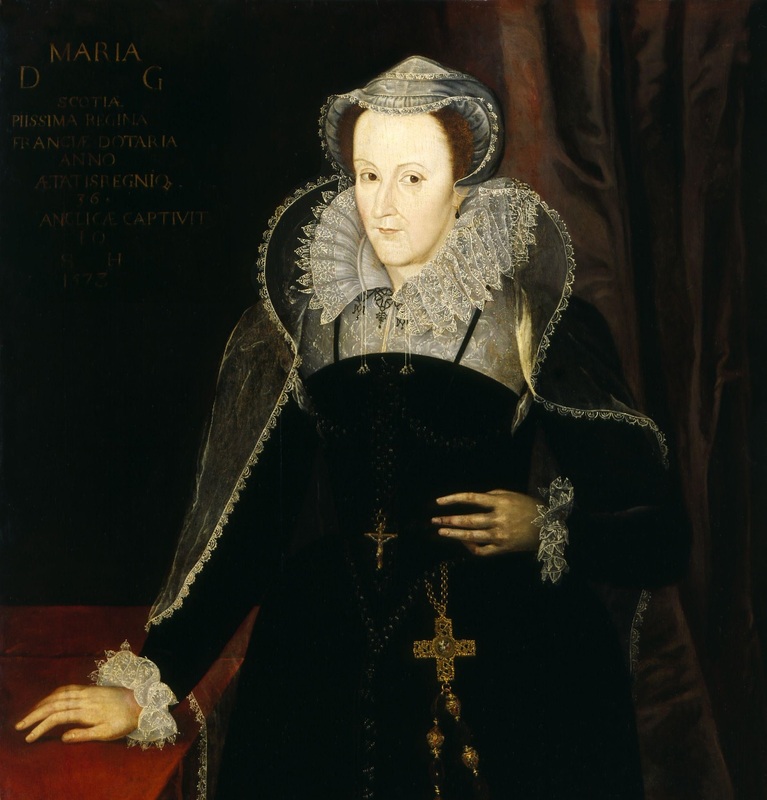 In 2004 a large group of visitors saw the spectre of Mary Queen of Scots herself peering down from the South Tower. Furthermore, her celebrity spirit has been witnessed frequently at other locations and is always said to be immaculately attired. Thus, Tutbury can rightfully claim to be one of the British Isles’ most haunted venues, and it is now a site of very special interest for ghost hunters. Recently the events team at Tutbury announced they will be resuming ghost hunts at the castle. This will provide an excellent opportunity for paranormal investigators to explore this extraordinary location and seek out evidence of the afterlife. Professional psychical investigators deploy a rigorous regime when investigating such a venue. State-of-the-art technology is utilised to record potential supernatural phenomena, and a strict scientific methodology is observed. Indeed, such ghost hunters believe that evidence can be captured on film, but this theory is certainly controversial and challenged by sceptics. Nonetheless, there are ample video clips and photographs of weird occurrences at the venue. Professional photographer David Green captured some peculiar white mist during a wedding reception. 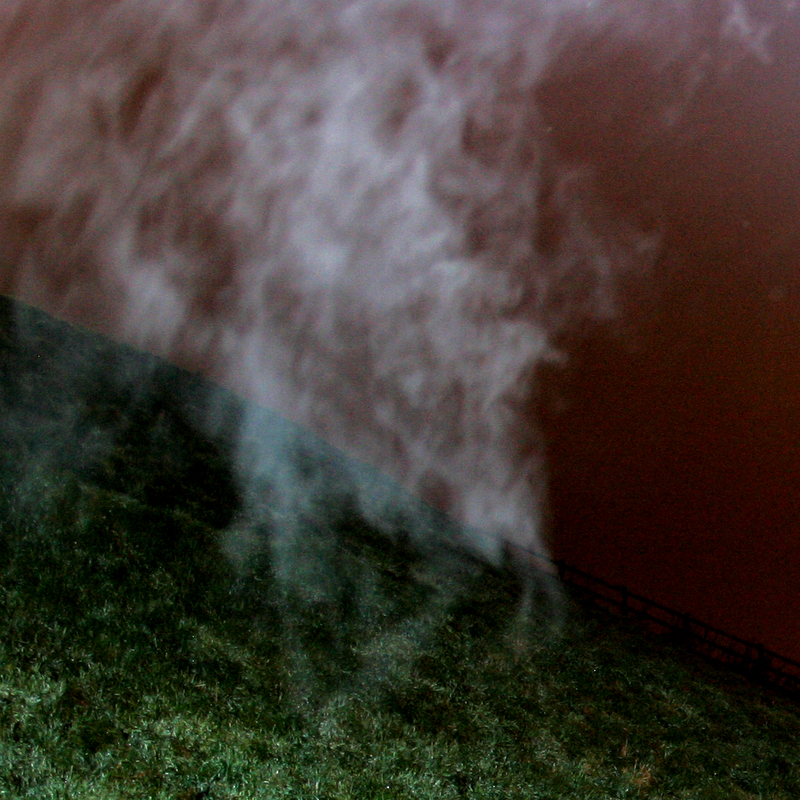 A closer inspection of the fog… What do you think? Is it really possible to photograph those who have passed on? This year we commemorate the one hundredth anniversary of the outbreak of World War One and the above photograph of an RAF squadron was taken in 1919 after the cessation of hostilities. The men and women in this image all served in the same unit during the conflict alongside Sir Victor Goddard (who took the shot). 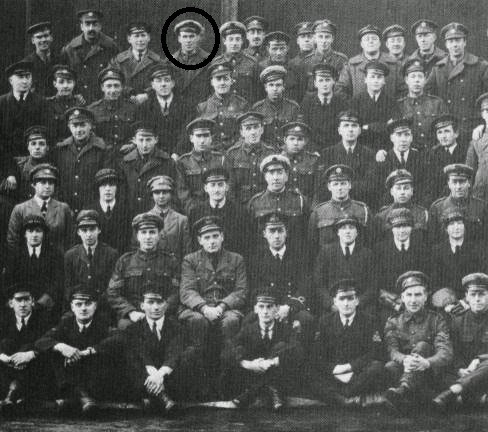 Uncannily a mysterious spectral face can be seen to the rear of the fourth gentleman from the left on the back row. The image of Freddy Jackson, who had died two days before, appears behind the back row. 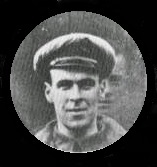 Members of the squadron quickly identified the man to be Freddy Jackson; a mechanic, who had been tragically killed in an accident two days before the photograph was taken. Indeed, Jackson’s funeral took place on the day of this group shot and his subsequent appearance in the image raises some profound questions. Is it possible to capture evidence of an afterlife using photographic equipment? Or is this merely an example of an elaborate hoax conducted by individuals of superior technological wisdom? Newby Church altar 1963. 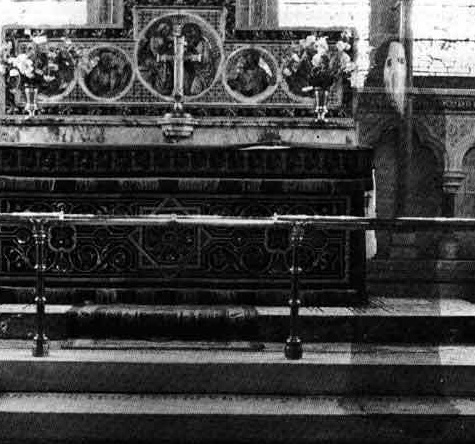 The photograph was taken by Reverend Lord and experts cannot explain the mysterious shrouded figure. Ghost hunters, psychic investigators and spiritualists have long argued that it is indeed possible to record evidence of the departed by using even the most basic of recording equipment. In recent years it is not only photographs of supposed spirit forms which have entered the public domain, but a whole variety of film clips boasting both visual and audio ‘evidence’ of a seemingly otherworldly nature. Exponents of this viewpoint argue that experts can visit notorious venues of preternatural phenomena and use their sensitivity and awareness to successfully ‘record’ the activities of the deceased. So-called ‘ghost-hunts’ at apparently haunted venues have become commonplace throughout the UK and have provided a much welcome source of revenue to hoteliers. 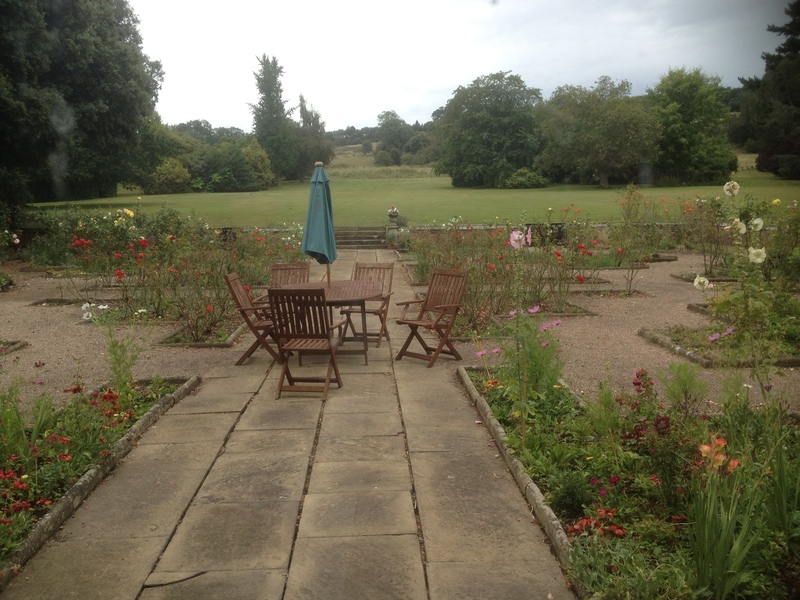 The gardens to the rear of Thrumpton Hall in Nottinghamshire. Note the curious misty ‘figure’ to the centre left. My vocation takes me to many spectacular locations throughout the British Isles and it is incredible how many venues I perform at which are said to be ‘haunted’. It always strikes me as nothing short of extraordinary how even the most level-headed and austere of hotel managers can suddenly divulge his or her own spine-chilling account of nocturnal queerness on the premises. Such people seem to be fully convinced in the existence of an afterlife and the occurrence of supernatural activity around their venues. Indeed, prior to most performances I always take a few photographs around the hotels, halls and stately homes I am fortunate enough to perform magic at. On a closer inspection, it is rather peculiar that I do often find unusual shapes, orbs and irregularities among the images. For example, the most recent being the misty ‘figure’ in the trees to the rear of Thrumpton Hall in Nottinghamshire (see photograph above). I since discovered that this venue is also said to be haunted by the ghost of a servant girl who took her own life.